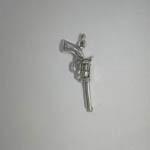 Desc: Sterling Silver pistol dangle earrings. 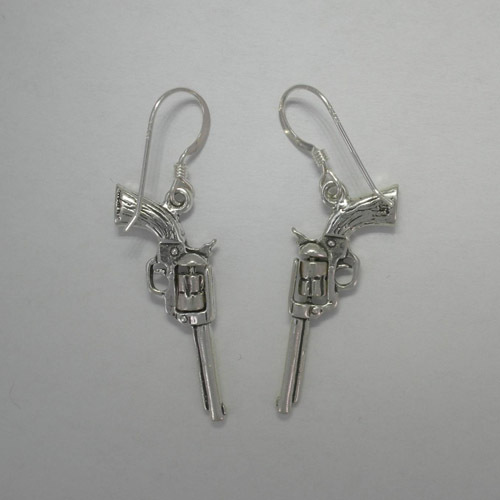 The earrings are fashioned to resemble a revolver handgun. The cylinder rotates. The earrings have engraving to resemble an actual handgun. The ear wires are fashioned from Sterling Silver. The earrings have bright polish finishes and are made in the United States of America. We also have a matching pendant, see SK1123.